Entrances that follow a consecutive numbering scheme. Don't draw entrances that don't fit into the numbering scheme (such as service or emergency entrances/exits). If there are two or more ways to enter one entrance, then only draw one point where the “main” entrance is located. Usually that's the entrance that leads to the elevators (if there are any), which is also monitored by a guard or a concierge (if applicable). If there are two entryways within one main entrance area and you can't determine which is the main one (because they have the same function, both lead to the same area, etc. ), then draw both of them on the map (using two placemarks). Draw all named or numbered entrances to a building. 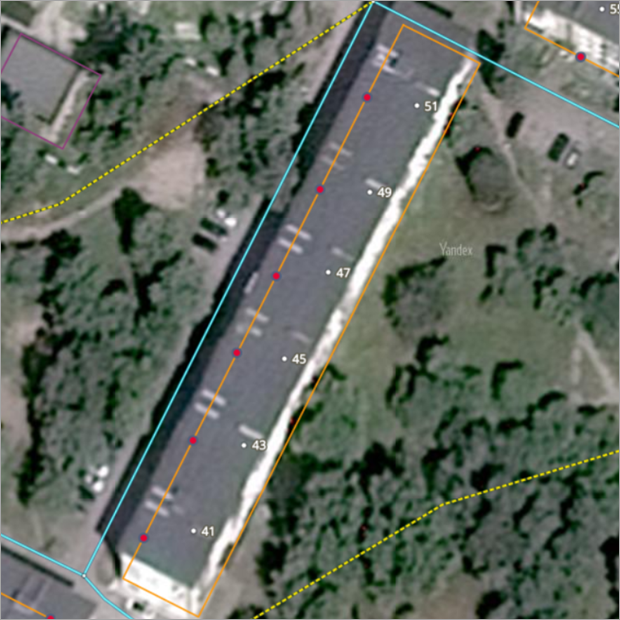 — Buildings and low-rise annexes occupied or mostly occupied by one organization or item (this applies to all organization types except for items in yards and parks, toilet rooms, and kiosk booths). Do not draw entrances leading to non-primary organizations. Do not draw entrances for abandoned and demolished buildings. If an operational building changes its status to either of those, make sure to delete its entrance. Entrance points mark entrances to buildings. Do not draw entrances into territories as Entrance-type items. Draw the entrance point on a building's polygon (for exceptions, see section 3). Inside an arch (located within a building polygon). In this case, make sure that the passageway through the arch is drawn on the map. In an underpass or other underground construction. 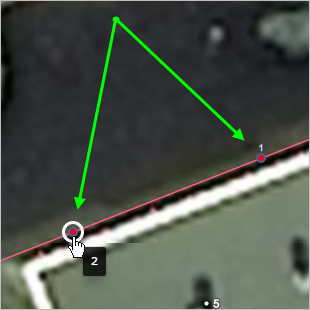 If this entrance is physically located outside the building polygon at ground level, then put the entrance point at the location on the polygon that is closest to its actual location. For numbered entrances to residential and public buildings: only enter the number (without including the type of map item). For example, 1. For named entrances: if the proper name reflects the type of item, then enter the proper name and item type. For example, North entrance. For named entrances: if the proper name doesn't reflect the type of item, then only enter the proper name (without the item type). For example, North. Do not use organization names and apartment numbers as names of building entrances.